2. 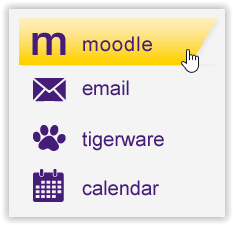 Click the Moodle link on the left toolbar. 2. At the left hand side panel, select Student Services | Moodle.